Darren Brennan is the Vice President of Brennan Financial Services and the Managing Principal in the Addison office. 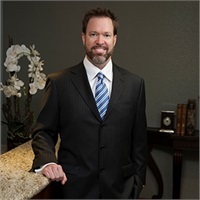 Darren brings significant experience to the team at Brennan Financial Services, having been involved with investment management in Dallas since 1995. Darren’s deep, historical knowledge helps him address issues in those markets that will impact his clients over their lifetime. For much of his career, Darren co-hosted Dollars and Sense, a weekly financial radio show airing on WBAP-AM, and also co-hosted the television show, Smart Money Live with the Brennans. Darren regularly guest hosted Financial Talk of the Town, a radio show heard on numerous Dallas and Fort Worth radio stations. When taking a break from serving his clients, Darren enjoys fly-fishing, snowboarding and any mountain activity.